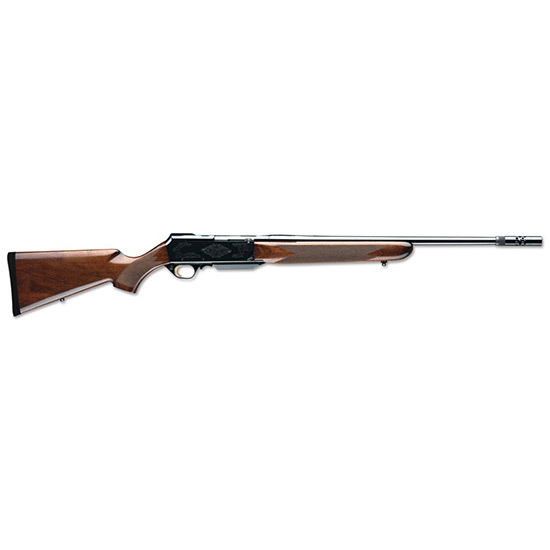 Browning 031001324 BAR Safari with BOSS Semi-Automatic 270 Winchester 22 4+1 Turkish Walnut Stock Blued in. Brownings Safari rifle is available with a blued onepiece steel receiver with scroll engraving along with a select walnut stock and forearm. The reliable gas operated action reduces recoil and quickly cycles every round. All models feature a detachable box magazine and factory installed sling swivel studs. This model is available with Brownings BOSS system.Brownings Ballistic Optimizing Shooting System BOSS is a patented advancement in rifle accuracy. When any rifle is fired the barrel goes through a series of vibrations as the bullet leaves the muzzle. The variations of these vibrations greatly affect the accuracy of the rifle. Controlling these vibrations will greatly control the accuracy of the rifle. Brownings BOSS allows you to control the vibrations of your barrel for increased grouping accuracy.